AURORA, Ill. (WLS) -- A Marine from suburban Aurora was among those killed helping victims of the earthquakes in Nepal. 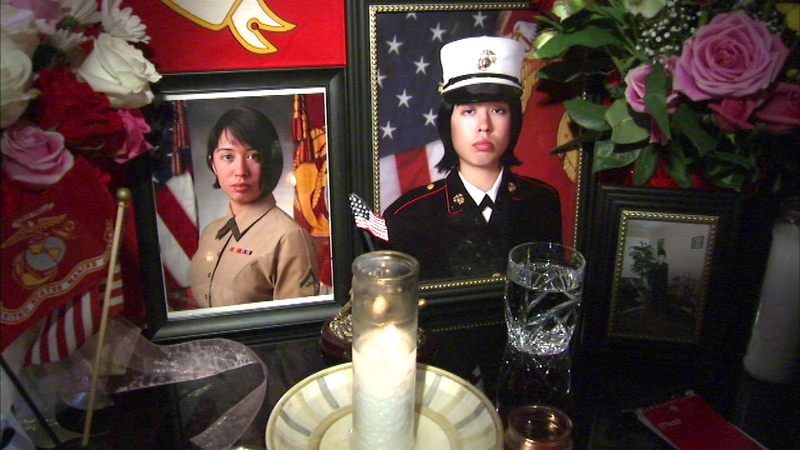 Corporal Sara A. Medina was on the U.S. Marine helicopter that crashed last week. The last time Corporal Medina's family spoke to her was on Mother's Day. She told them she was okay and that there was nothing to worry about. But after a 7.3 aftershock hit Nepal on Tuesday, she and five others were sent out on a relief mission. The helicopter they were traveling in went down in the mountains near the capital of Katmandu. The wreckage was found Friday. This was to have been her last mission with the Marine Corps. After nearly five years in the military, the Aurora native was due to come home in August. She was to be married to a fellow Marine she met while stationed in Okinawa. Instead, her family now has to plan a funeral. Medina was one of six Marines killed in a helicopter crash last week in Nepal. "She was the best daughter, the best sister, the best friend," Medina's mother Cecilia Lopez said. A combat photographer with the Marines, Medina had been stationed in Japan for the last year and a half. "It was her passion," said high school friend Karen Valladares. "She loved what she was doing. Whatever she wanted to do, she didn't let anybody bring her down." Medina enlisted in the Marine Corps in 2010, shortly after graduating from East Aurora High School. Before deploying to Nepal she had photographed Marines in South Korea, the Philippines, Japan, Australia and the U.S. Her father recalls the day she came asking for his blessing to join the military. "She said, 'I want to do something good for me, for my future, for everybody,'" Miguel Medina said. Medina's family still does not know when her body will be returned to Illinois. Governor Bruce Rauner has ordered flags to be flown at half-staff in her honor.